Lice is something that every parent worries about. 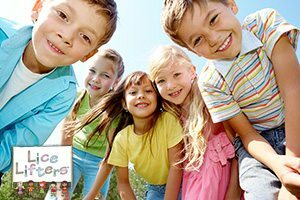 School, daycare’s, camp, birthday parties, sleepovers – all chances for your child to get lice and bring it home unexpectedly. The carrier probably doesn’t know they have lice so you find out all to late. Even if you don’t have kids, you’re worried just the same. Don’t panic. Lice Lifters is here to help. At our Lice Treatment Center in Montgomery County, located in Lafayette Hill, Pa, our trained and professional Lice Removal technicians are experienced in getting rid and killing lice for kids and adults alike. We can treat the entire family, all at once! One treatment and DONE! It’s that simple. Lice Lifters uses a safe, non-toxic process to remove head lice and our process is 99.9% effective – it kills lice, kills nits, kills lice eggs. Pediatrician endorsed and school nurse recommended to get rid of head lice for Montgomery, Delaware and Philadelphia County schools.